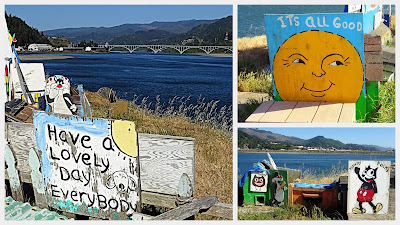 Folk art salutations where the Rogue River meets the sea. Huh. Not sure what to think. Could be kind of cute and kind. Or, could be dang creepy. It's a nice day, so I'll go with cute and kind until bodies start washing up on shore.